Ladybugs Parking Lot Sweeping Inc.
Don’t be confused by the adorable name, this is a sweeping company with real muscle behind them. They are owned in Louisiana by husband and wife team, Shelly and Darren. Family owned and operated since 2005, the duo purchased the business from a friend in hopes of making a better life for their two daughters. The hard work is paying off for them and in this interview, you’ll learn a little bit about what makes Ladybugs Parking Lot Sweeping tick and be successful. How did your company begin and where did your involvement come from? We purchased an established company in 2005 from a friend of ours named Ken. Neither one of us had any experience in the industry. Darren and I actually met while we were both enrolled in paramedics school. At the time Darren and I just had a new baby and the owner needed to rid of it. Lucky for us, we were able to work out a “rent to own” situation that would lead us into full ownership. We were able to take it over and even though we didn’t have enough money to mail the first months invoices, we figured it out. Keep in mind we were digging for change underneath couch cushions and car floorboards for stamps! Why did you get into the power sweeping industry? Just by purchasing it from a friend, who wasn’t interested in running the sweeping business anymore. We had no idea what power sweeping was at the time in 2005, but it was a chance to own and run our own business, which definitely was an appealing thought. I grew up in the area on a cattle farm not far from Lafayette. My husband is from Arkansas but came to Lafayette because of the oil boom and the great culture that’s located here. What does your business model look like in regards to your total employees and office locations? We strive to be leaders to our employees and show them how to work ethically with heart and soul! That’s the foundation of our company. 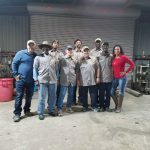 We have one location in Lafayette, Louisiana with 15 total employees. Our girls Analisa and Mariana pitch in too! Although they are only 12 and 9, it’s important for them to see exactly what mom and dad’s company does on a daily basis. They have even helped Ladybugs with painting parking lots and picking up litter. How much growth has your business sustained in recent years with the upswing in the economy? In this area, the economy is still in a bit of a downswing. We are an oil-based economy here in the south. However, Ladybugs has persevered through it and in the last two years, we have grown about 85%. So that’s the good news for us at least. We are lucky with this one because new customers tend to find us. We advertise on the radio about our services and created a low budget commercial with our daughters in it and sweepers in the background that’s highly effective at bringing in new business. The most important aspect in finding new clients is definitely word of mouth! Referrals are the cornerstone of any successful business and we encourage our customers to tell their friends and neighbors. How many contracts do you execute per week? I would say it’s about 2-5 per week. Have you added on any new services lately? 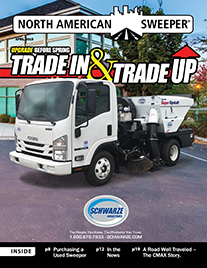 Well, we do offer a wide range of services including striping, property maintenance, construction site clean-up, lawn care, pressure washing and of course parking lot sweeping. We are always adding on new services and looking towards other ways to improve the value we offer our clients. Concrete repair is one new service we have recently started doing. If we can do it and if we can invoice for it, we’ll take care of it. How did you arrive at creating a unique brand for your company? The goal with this is through personalizing our work. We’re very committed to solving problems for our customers. Either Darren or I am on every job we execute to make sure it’s done right and to our very strict specifications for quality. Tell me a little bit about the daily operations and how your workers’ shifts go? We have daytime and nighttime operations. Ladybugs Parking Lot Sweeping runs every night of the year except Christmas. Daytime work includes checking trucks, rear engines, front engines, tires, brooms etc. This time we also handle daytime jobs. Pressure washing, striping, or any handyman service that is scheduled for the day. Nighttime drivers operate and began work at 8:30 PM nightly. Each driver has a route that is to be completed. 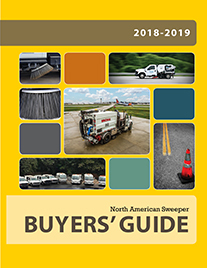 What sweeper trucks, equipment, and machinery technology do you use? 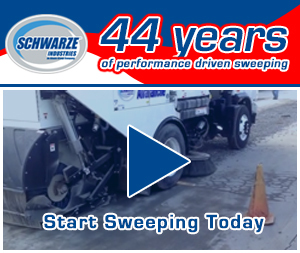 We currently have 5 Schwarze 348 & 347 sweepers. 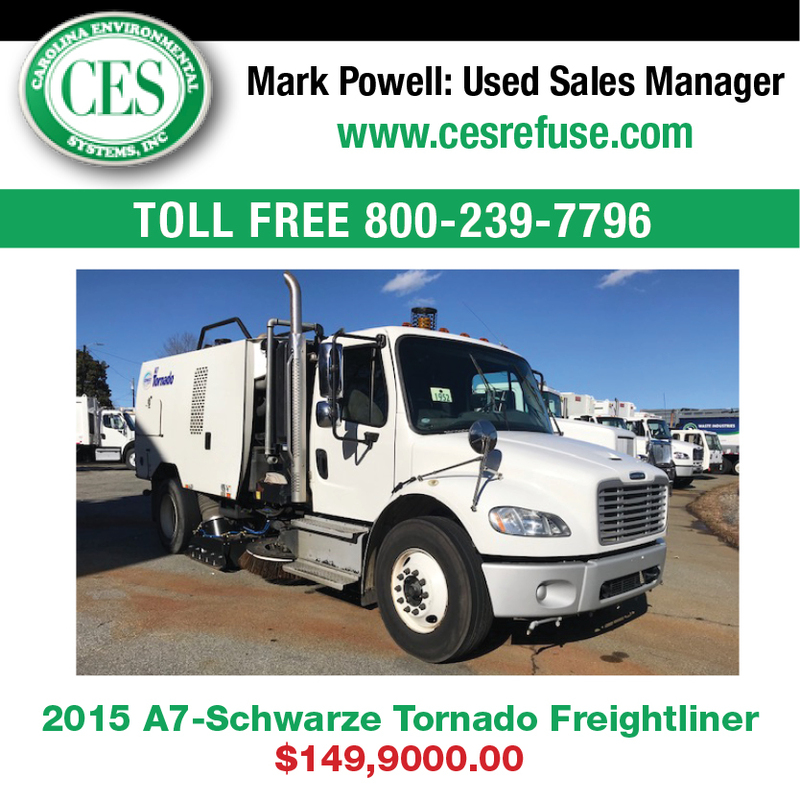 Each truck Is equipped with backpack blowers, pickers, trash bags, and a broom. What’s a sweeping company without a handheld broom? What kind of strategies and policies do you have when it comes to environmental issues? We have our own dumpster at our shop location that each truck dumps into nightly. We believe in using our own containers for the trash we pick up nightly and we have to dispose of tires and paint in a separate container per state regulations. How much do new technologies factor into your business? New technology is not a big factor for Ladybugs. When we have the budget for it we always try to improve our company in a variety of different ways. We just recently installed a monitor at our office for drivers to read nightly notes on particular assignments. That’s been very helpful with communication. It also has pictures of them working at various locations. I feel we want to show them how we care about their work and how proud we are of them. This definitely helps to boost morale among our employees. It’s memorialized in a photo and displayed so everyone can see their hard work.